The event is hosted by ABP London and has gained support from Deputy Commissioner of the British High Commissioner’s Office in Singapore, the British Foreign Office and UKTI. The guests attending this event mainly come from the political and business circles of China, UK and Singapore and also include some Asian enterprises. Deputy Commissioner of the British High Commissioner’s Office in Singapore Alexandra MAcKenzie, representative of the British Foreign Office in Singapore Warren Pain, representative of UK Trade Investment Office in Singapore Michael Png and President of the Indian Strawberry Star Group Santhosh Gowda, etc. attended the event and they spoke highly of the ABP London Project. 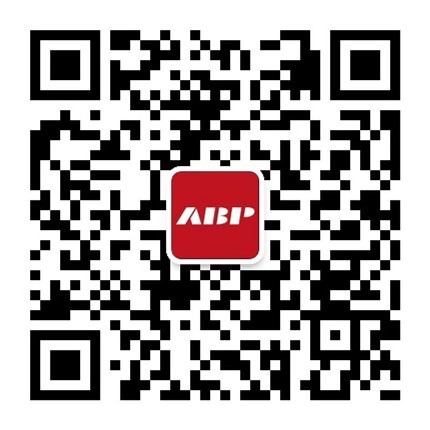 At the event, President Xu Weiping of the Board of Directors of ABP Global Holdings Group delivered a speech and gave a detailed introduction of the development, construction and investment conditions of the project. He said: "What will be born at the Royal Albert Dock is not a Chinatown, but a business district for the Asian enterprises. We hope the businessmen, enterprises and investors of Singapore to regard it as a development platform for them." He also mentioned that ABP has become partners with Strawberry Star, a company that has its office in Singapore and is a strong partner. We believe this will further demonstrate our full confidence in the project to the businessmen and enterprises of Singapore. Xu Weiping further revealed that he ever met with the British Chancellor of the Exchequer George Osborne during his visit to China and told the Chancellor that he was interested in the development opportunities created by the British government in the northern part of Britain. Deputy Commissioner of the British High Commissioner’s Office in Singapore Alexandra McKenzie also said in his speech, " UK has a highly -efficient legal system and a well-functioning planning system and it is open to and embraces the Asian businesses and investments. This 35 acres of land will become the new business center of London and integrate office, commerce, residence, retailing and leisure into one. This project will be a landmark of London to attract Asian enterprises to come. " According to the introduction, to invest in ABP London has a huge advantage. With the special treatment provided by ABP London, investors can enjoy 100% business rates exemption and asset allowances in the first five years. At the same time, ABP London has fixed a ceiling on its service charges, thus its charges will be lower than those of the other competing development projects. With the economy recovering, the demand for offices continues to grow. However, affected by the debt crisis, the investment in and development of the office projects are far from enough, which results in the surprisingly low vacancy rate and short supply of the offices. This means that the London office market will provide investors with satisfactory returns: The office building renting can achieve a rate of return of 5% in the first year and the retail space can achieve a yield rate of 6.5% during a ten-year lease term; moreover, the investors can get the rare opportunity to purchase a detached house. For the next stop, ABP will hold an exclusive exhibition in Hong Kong, which is also the first appearance of ABP Royal Albert Dock in Hong Kong to accept face-to-face counseling from the investors and business enterprises. During the three- day event, the representatives from the British Embassy in Hong Kong, UK Trade & Investment in Hong Kong, TFP Farrells, Savills and PricewaterhouseCoopers, etc. will give presentations and have discussions about the "brand-new business district of London - ABP Royal Albert Dock Project "," business opportunities in London for the Asian business circle "and other topics.